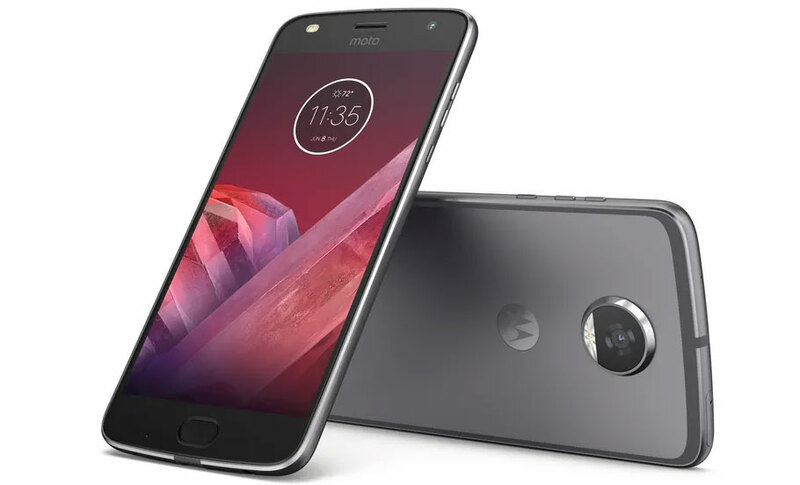 Motorola has announced on Thursday its second generation smartphone of Moto’s Z Play-series known as Moto Z2 Play which comes with new design, internals, and dual-tone LED flash for both cameras. The company’s latest mid-range smartphone brings lots of interesting features that is demanded by the customers. There will also be a few new Moto Mod connectors, similar to the predecessor Moto Z play. The phone comes in three beautiful color variants, i.e. Lunar Gray, Nimbus Blue and Fine Gold. Moto Z2 Play is using 5.5-inch full HD Super AMOLED display that provides a resolution of 1920 x 1080 pixels. The screen is protected by Corning Gorilla Glass 3. As for design, the device has a ultra-slim aluminum unibody design and redesigned fingerprint sensor on the front side with new antenna band that runs along the entire edge of the back side. Measuring dimension of the phone is 156.2 x 76.2 x 5.99mm which is 1mm thinner compared to its predecessor. It has Dual SIM slot that supports both 4G and 3G network. The Moto Z2 Play runs on Android 7.1.1 Nougat out of the box. The handset is available in two memory variants, 3GB of RAM with 32GB of internal storage and 4GB of RAM with 64GB of internal storage which can be expanded via microSD card up to 1TB. Under the hood, the phone is powered by Qualcomm Snapdragon 606 chipset which is clocked at 2.2GHz octa-core CPU along with Adreno 506GPU. In the terms of connectivity, it offers 4G VoLTE, WiFi 802.11a/b/g/n, Bluetooth 4.2 LE, GPS, NFC, USB 3.1 Type-C and more options. As far as cameras are concerned, the phone has a 12-megapixel of rear camera with Dual-Pixel Autofocus, Laser Autofocus, f/1.7 aperture, 4K video recording and dual-tone LED flash. On the front side, there is a 5-megapixel of front facing camera with dual-tone LED flash for selfies and video calling. The device is backed by a 3000mAh battery with Turbocharging that lets you charge the phone up to 50% in just 20 minutes. It is available from Brazil today that has been priced at R$ 1,999 (approximately $ 616/Rs. 39725) for the 4GB RAM with 64GB version. Moto TurboPower Pack Mod carries a price tag of at US$79.99 (approximately Rs. 5150), Moto Style Shell with Wireless Charging costs US$39.99 (approximately Rs. 2575), JBL SoundBoost 2 costs US$79.99 (approximately Rs. 5150) and the Moto GamePad has been priced at US$79.99 (approximately Rs. 5150).